Build a respected market position nationally and internationally and increase awareness to support business development. Brand One undertook a strategic discovery process with the company’s board, senior management team, key divisional heads and site management. Management interviews, client and employee surveys, and an audit of all collateral including the website were undertaken. A strategic workshop saw us working together with the board and senior managers to clarify the vision, mission and supporting company values to provide the direction and foundation for the business’s planned growth. A market position, value proposition and key messages to market were clearly identified and articulated to support the business development objective. Building awareness of the brand and what the business has to offer is important when entering new markets or building greater market share. What sets a company apart is the point of difference (POD); whilst the key messages are important to ensure what the company has to offer is consistently communicated to the market. Brand One worked with the PYBAR team to establish this. This is important as it becomes the brief for all content marketing – what we consistently say across all marketing and communications media including all digital media such as social media, the website, eNewsletters, blog and online ads; as well as mainstream media through PR and press advertising and collateral including the Capability Statement and tender documents. Central to the marketing strategy is the website. Prospective clients and clients will ‘Google’ a company which means that a website has a critical role to play. Design excellence + clear navigation + functionality are instrumental to presenting the company, showcasing its services and equipment, and providinge clear evidence of its capabilities. The new design reflected the refreshed brand position with a clean and professional look. The new website was clearly sectioned for easy traffic direction and ease to use. The navigation was purpose built to reflect the user journey from entry through to all areas of the business. Speciality areas: a fleet area showcased the company’s extensive equipment; an interactive map and projects list provided evidence of the company’s experience and results; a resource centre consolidated all marketing collateral; and a news area was designed to provide a vast library of categorised information – great for Search Engine Optimisation! 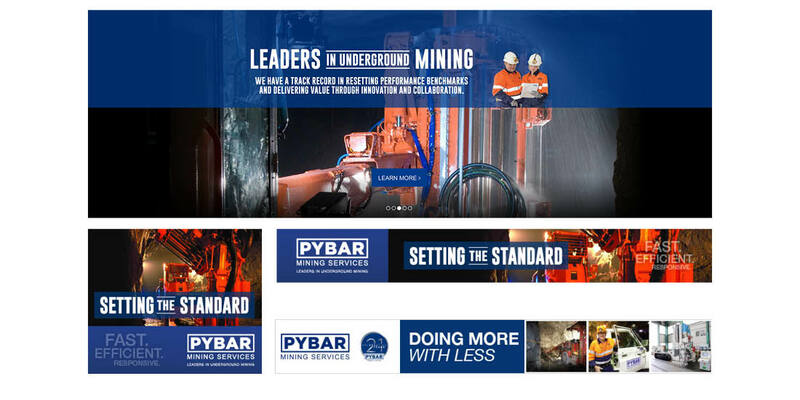 With the market position and key messages established, staged campaigns were developed to shift the brand’s position, capitalising on what the clients saw were PYBAR’s strengths. The campaigns ‘Setting the Standard’ and then ‘Raising the Bar’ were taken across press, digital and social. The messages were both internal and external. Internally, the ‘Raising the Bar’ campaign supported the organisation’s values engagement program (the CORE Awards). Each month, well-balanced and pre-approved messages were shared on the company’s Facebook page targeted at employees and their families to keep them up-to-date with what’s happening at all sites – what the employees said they wanted to hear. A quarterly internal newsletter supporting the key messages and values was also a terrific way to build pride and engagement. The content marketing strategy was built around the targeted market position and key messages. Central to the digital platform was the website which pushed out through design and content the key messages. The website was built with SEO best practice including page titles, on-brand metatags, well written headers, site maps and most importantly, relevant and good content. All content was purpose written in accordance with SEO best practice. 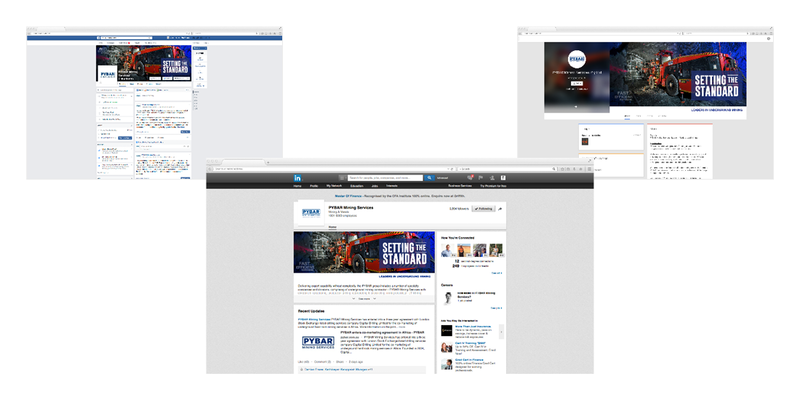 The company’s LinkedIn page is used to engage clients, press, media and general industry. Pre-approved posts are shared. LinkedIn also plays an important role with search. 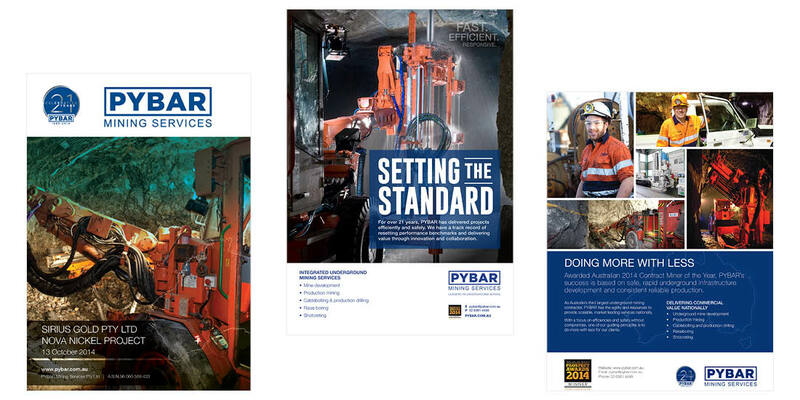 On and off-line editorials and advertising, eNewletters, blogs and social are all used hand-in-hand to create and manage the PYBAR brand.